If you don't have a vehicle with CarPlay installed natively, there are a number of third-party aftermarket CarPlay receivers from companies like Alpine and Pioneer, which can be an affordable way to get CarPlay integration in your car. 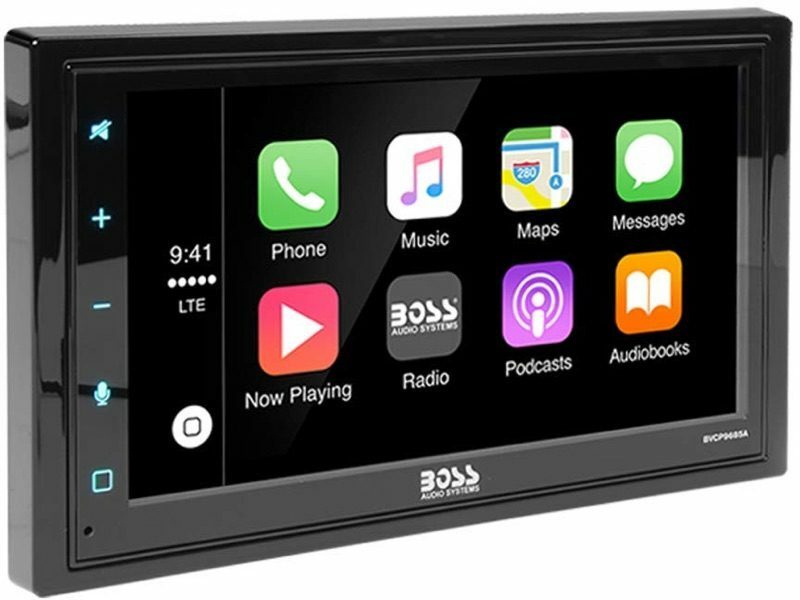 Boss Audio, known for its range of car speakers and accessories, recently launched a new CarPlay receiver, the BVCP9685A, and its $250 price tag makes it one of the cheaper CarPlay options on the market. For a limited time, there's a $40 coupon available on Amazon, dropping the price even further to $210. The BVCP9685A from Boss Audio features a 6.75-inch capacitive touchscreen LCD, and the company says that this new version has a number of upgrades over the prior BVCP9675A option. The unit depth is now 5.3 inches instead of 6.7-inches, with the shallower body allowing for an easier installation process. With proper car wiring, steering wheel controls and backup camera are supported, and an external mic improves voice pick up when giving voice commands to Siri. 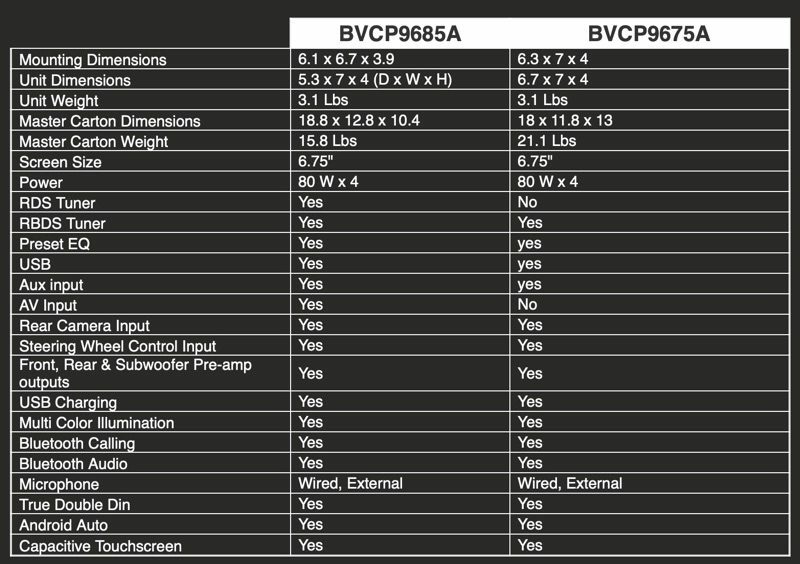 Other BVCP9685A features include Android Auto support, AM/FM radio receiver, RDS and RBDS tuner, Aux and AV input, subwoofer pre-amp outputs, USB charging, multi-color illumination, and true double din. What are you talking about???? I fitted an aftermarket head unit like this and it involved none of the steps you described... there are companies that sell specific wiring loom converters so it’s litterally plug and play.. getting the dash open to see what you’re doing takes way longer than the wiring side, but anyone with some practical skills and YouTube can carry out the fitting. Yea sure if the seller wires the car harnesses to the receivers' wiring for you. But if you don't opt for that route, you have to splice wires and you do that by reading the wiring diagrams. Not every car is the same my friend. That makes no sense. The wireless is over WiFi, which by today's standards are at least 300 Mbps. Nothing is lost. Not to mention if it was bad enough to cause audio loss, then it's way too bad to project an interface onto the display. [doublepost=1553026633][/doublepost]So... what's yours? Model and price? Well, there is a major price difference. Mine's a bit more expensive Mine's an Alpine, and doesn't support Android Auto. Specifically built for Apple Wireless CarPlay. Nice one. :D That's it. Having wireless CarPlay would be cool but is it really worth spending an extra $400+ just for that feature? No.. Most of us like to have our phones charging while we drive, so that means we're going to have to plug in a cable anyways. Yes i know there's wireless Qi charging but its slow compared to USB. That being said, for those interested in a budget CarPlay headunit should really check out the Soundstream VRCP-65. Its currently $199 on Amazon right now and supports CarPlay, Android PhoneLink, SiriusXM, Bluetooth, DVD, etc. Pffff. Mine's 7 inches, and Wireless, and still supports all of that. If it's not wireless, I don't want it. Hard to justify the value when a name brand like Sony or Alpine is a just few bucks more. Anyway to check what vehicles are compatible with the unit? I installed a Sony XAV-AX3000 last month. I have to say it’s the most it just works-ish thing Apple has done (arguably not all that difficult). I was really wanting CarPlay. Imagine my surprise when I actually used it in a rental. I decided that having my iphone in that bracket mounted on the dash (like in my daily driver) was actually better, as in, less aggravating to use, 2x-as in, less nanny BS to wade through. Again what? I’ve done at least 5 stereo change outs and never once spliced a cable, there are companies who specialise in cable converter harnesses which suit the model of your car switching back to a standard fitting which most aftermarket units use.